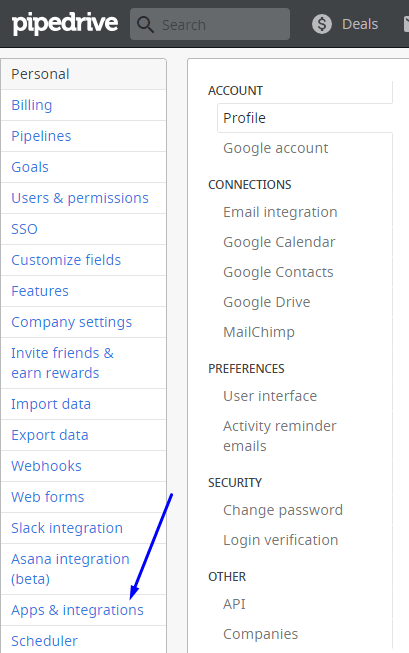 Pipedrive – is a CRM & pipeline management tool that helps you focus on actions that matter. By sales pros, for sales pros. It is a sales management tool designed to help small sales teams manage intricate or lengthy sales processes. 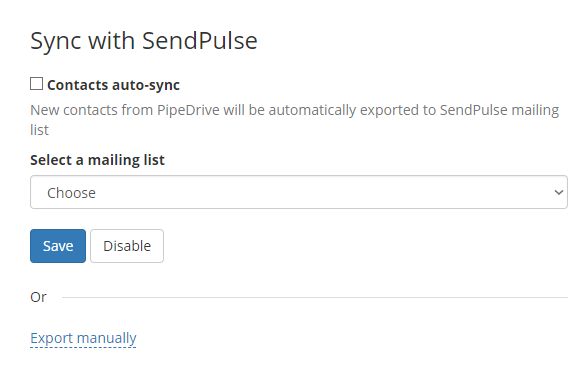 What can you do with the integration of SendPulse and Pipedrive? 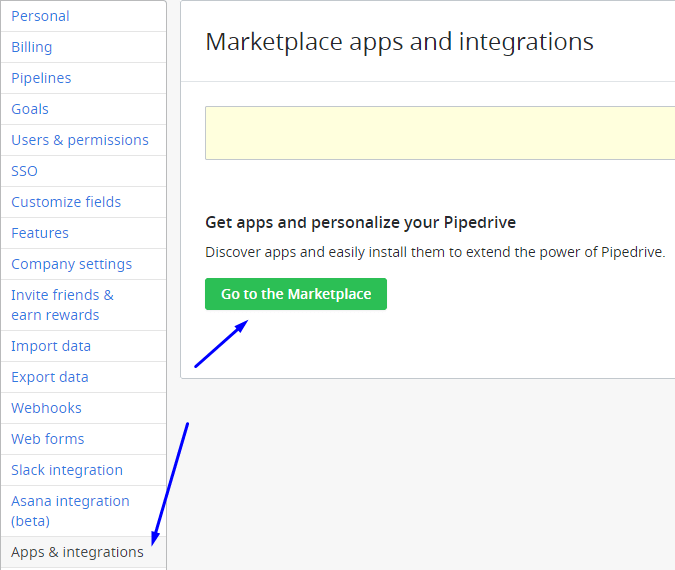 You can find various integrations in the Pipedrive marketplace to extend the functionality of your site. 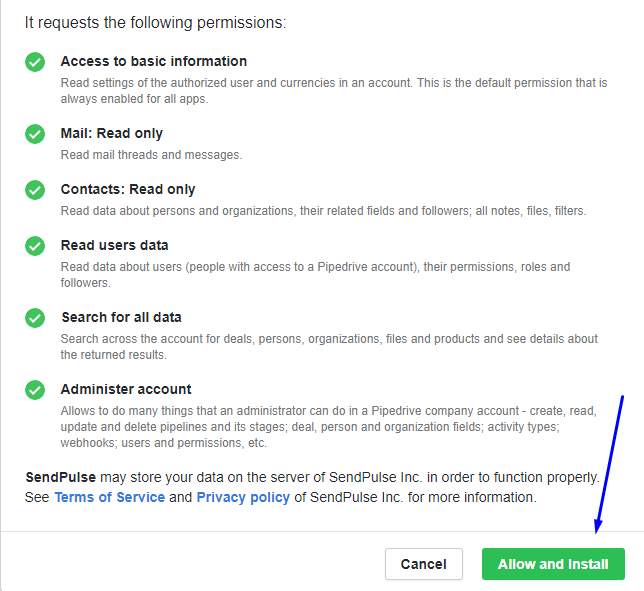 One of them is integration with SendPulse, built to send emails to users of your site. 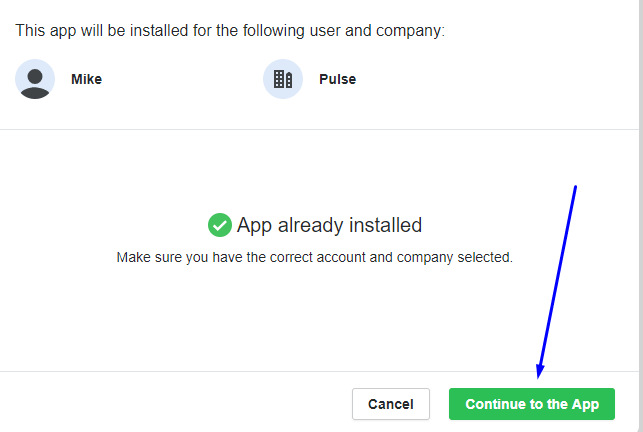 Using this integration allows sending emails to the mailing lists in SendPulse and then sending messages to your customers. What do you need for this integration? If you select Auto-sync, then pick an address book. If you go with Export Manually option, you will need to pick an address book each time you initiate a manual export in the app. Click Save to confirm the synchronization parameters. 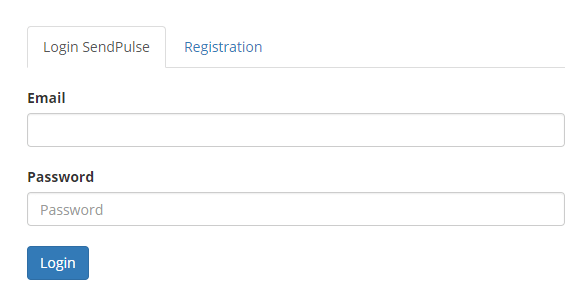 Should you need to cancel the parameters, click Disable.